All tracks written by Tyler Spencer. 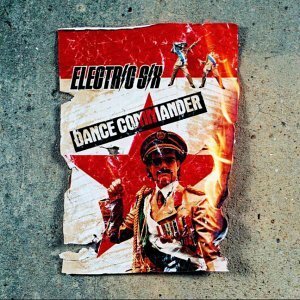 ‘Dance Commander (Radio Version)’ produced and mixed by Damien Mendis and Stuart Bradbury for www.soulchild.net. Additional production and Mix by Stu and Damo @ The Hit Room and TTC Studios, UK. [‘I am Detroit’ produced by Damien Mendis and Stuart Bradbury forwww.soulchild.net. ‘Dance Commander (Soulchild Extended Night Version)’ remix produced by Soulchild. Mixed by Stu and Damo @ The Hit Room.